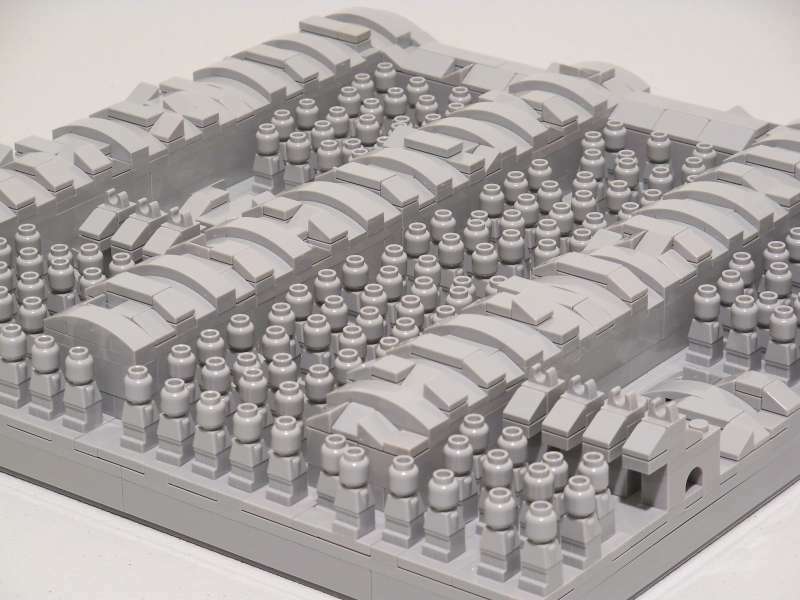 I've wanted to build this since last year's Iron Builder that used this piece as the secret piece. And I've always been fascinated by the real thing since childhood. The "ripples" on top of the pits were where the wooden "roof" was when first built. 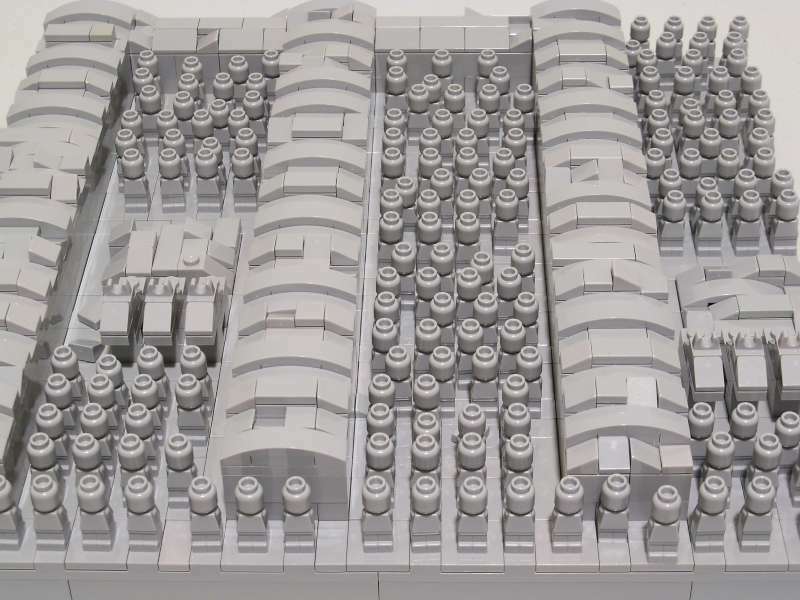 Illustrated here in Lego. Did they ever make a terracotta soldier minifig when the Adventurer theme visited Asia? If not, they really need to make one next time they go back there! It's not historically accurate. Because all of the figures have fell down when first discovered, the current arrangement is just how the archaeologists restored them. The real thing has 8000 figures. Mine only has 100. It's not meant to be a specific section of the army. 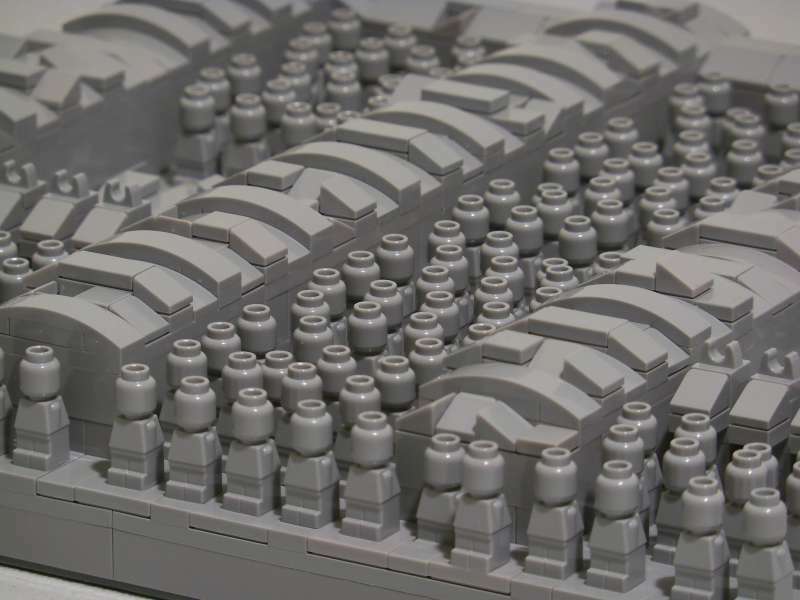 Immaginative build, looks good, and such a great quantity of microfigs. How you came with this idea? Hey, really nice! Have you been to Xian to see the real thing? Thanks for sharing. I've been there when I was 13, which was quite a while ago. The most memorable fact for me was the "ripples" caused by logs on top of it. So I tried to replicated it in this moc. Well, I didn't come up with this idea. It's a real site. 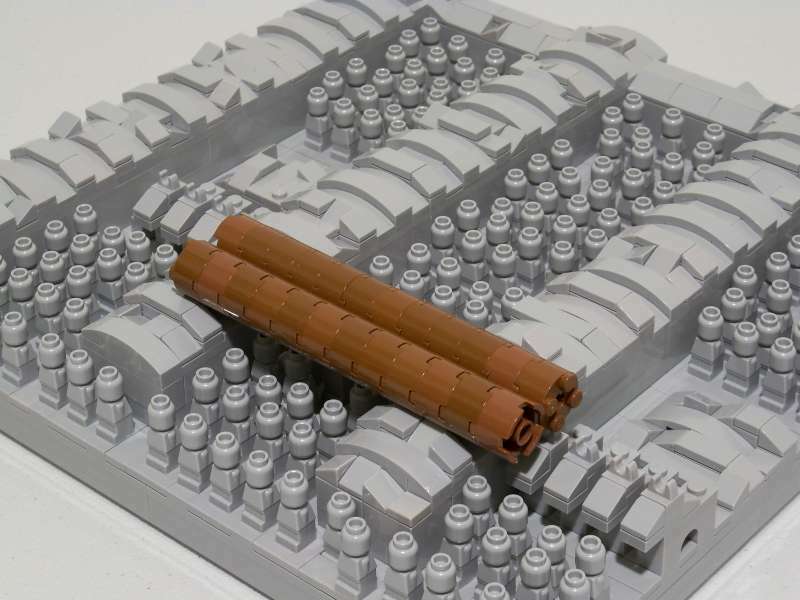 As for why I want to build the moc, I just see Terracotta worriers in this microfig piece. Remember visiting Xi'an last year... 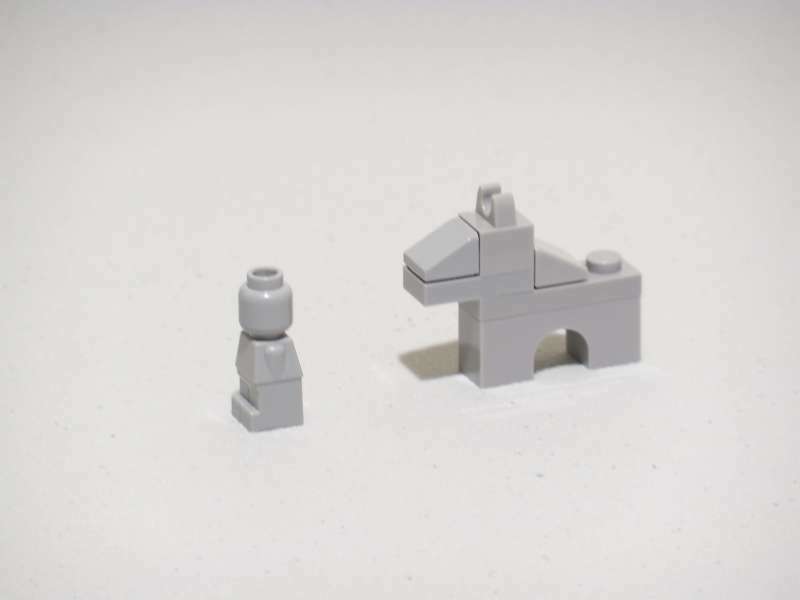 The only thing the MOC needs are some broken statues, some 1x1 round plates and so on to imitate them. Nice build. I like the "ripples" and the fact that they are not all the same, similarly to real life. And you have a lot of those bley microfigs - I only have about 2 in that color, I think :classic Great job!